Autologous epidermal and dermo-epidermal punch grafts are two of the different options available to promote epithelialization of recalcitrant wounds despite adequate conventional treatment. As we commented in the post “Types of skin grafts to cover chronic wounds: which one should you choose?”, in our wound clinic, the dermo-epidermal punch graft is the technique commonly used. The procedure is outpatient based, simple, economical, and provides a striking analgesic effect on painful wounds. Therefore, it is a technique very well accepted by patients, which can be repeated as many times as necessary to achieve complete epithelialization of the wound. To obtain these dermo-epidermal fragments we can use a punch, scalpel or curette, so their morphology will be more or less circular or oval. The procedure is performed under local anaesthesia in the donor site, usually the thigh , and we do not go deeper than the papillary dermis. We know that we are at the appropriate depth (papillary dermis) when we find a punctiform bleeding after obtaining each graft. 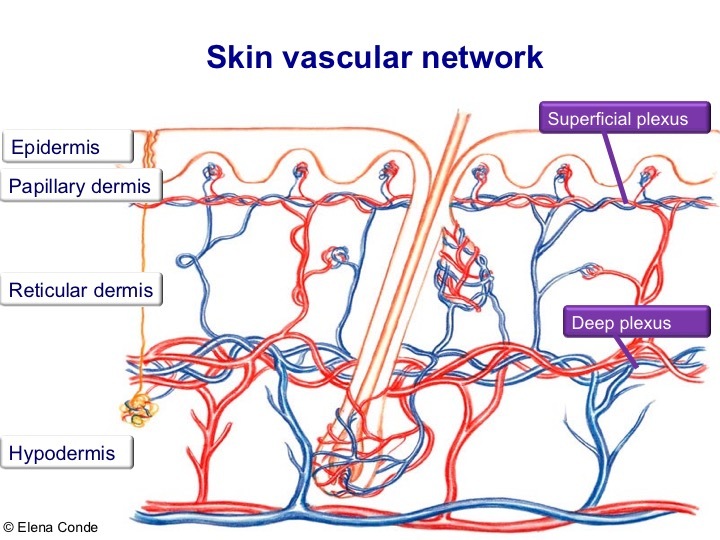 In the image representing the skin layers, blood vessels are distributed vertically in the dermal papillae. If we look at it from above, the vascularization of the papillae would appear as a dotted pattern. Anatomical knowledge of the skin and experience are key to performing the procedure systematically and quickly. The small grafts are placed directly on the wound bed. Local pressure and immobilization the first few days after the procedure is essential for graft taking. Wounds in the donor site heal by secondary intention. The risk of bleeding and infection of the area from which the grafts are obtained is minimal. One year after the procedure, only slight alterations in the pigmentation (hypo or hyperpigmentation) are observed in the donor site. 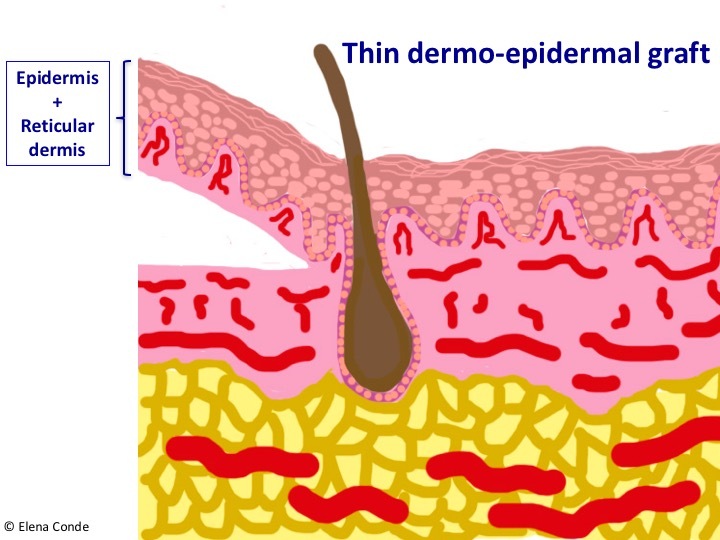 Epidermal grafts are obtained by separating the epidemis from the dermis at the dermo-epidermal junction. The epidermis is a flat polystratified epithelium composed mostly of keratinocytes, which are born in the basal layer and progresively differenciate forming the upper layers until their destruction and elimination in the horny layer (the most superficial layer of the skin, which is formed by dead cells). 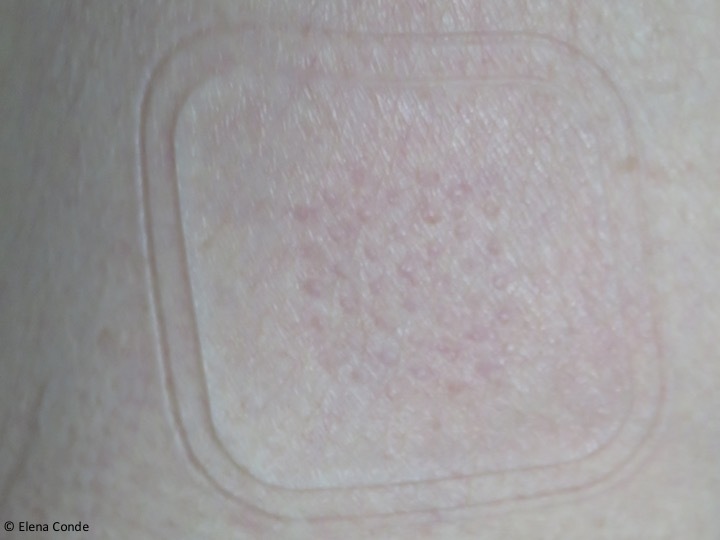 The main benefits associated with this technique are the ease of use of the marketed device, which can be used in the consultation room without the need for local anaesthesia, and the absence of complications in the donor area by leaving virtually no scar. 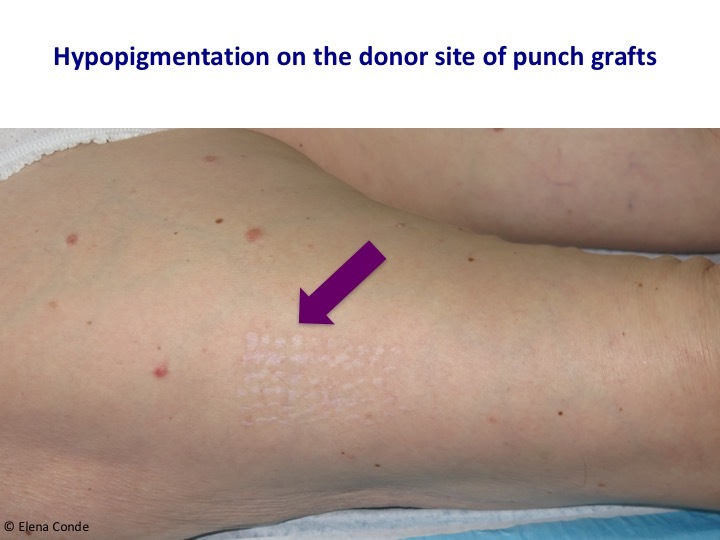 However, dermo-epidermal punch grafting, despite requiring local anaesthesia and subsequent dressing changes in the donor site (in our clinic we normally use alginate in the first dressing changes), is a technique with low morbidity for the patient and minimal pain and complications in the donor site. When the medical and nursing team have experience with the technique, it may be performed in a short time, resulting highly efficient. But the differences between the two techniques are not limited to the donor site. Their action in the recipient area is also different. Dermo-epidermal grafts, placed on a wound bed in optimal conditions, achieve wound epithelialization by means of their attachment. However, epidermal grafts would enhance healing by expressing growth factors and promoting the migration of keratinocytes from the edge of the wound. 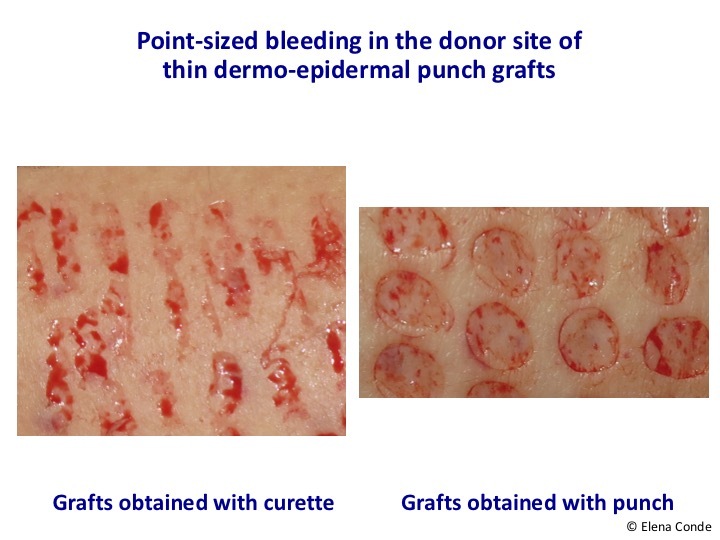 To make an analogy with our observations in our clinic, the behaviour of epidermal grafts may be compared to that of the punch dermo-epidermal grafts when no graft taking is achieved. An interesting indication for the use of epidermal grafts is the coverage of wounds in the context of pyoderma gangrenosum. Considering that the device only separates the epidermis, we would avoid the phenomenon of patergia in the donor site (a phenomenon that may cause another complicated wound in the area in these patients).3 However, if the activity of pyoderma gangrenosum is controlled with adequate immunosuppressive treatment, other autologous graft options (such as dermo-epidermal punch grafting) may be considered. 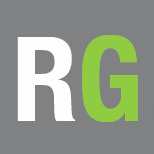 Do you have experience with epidermal grafts? Herskovitz I, Hughes OB, Macquhae F, Rakosi A, Kirsner R. Epidermal skin grafting. Int Wound J. 2016 Sep;13 Suppl 3:52-6. Richmond NA, Lamel SA, Braun LR, Vivas AC, Serena T, Kirsner RS. Epidermal grafting using a novel suction blister-harvesting system for the treatment of pyoderma gangrenosum. JAMA Dermatol. 2014;150(9):999–1000. 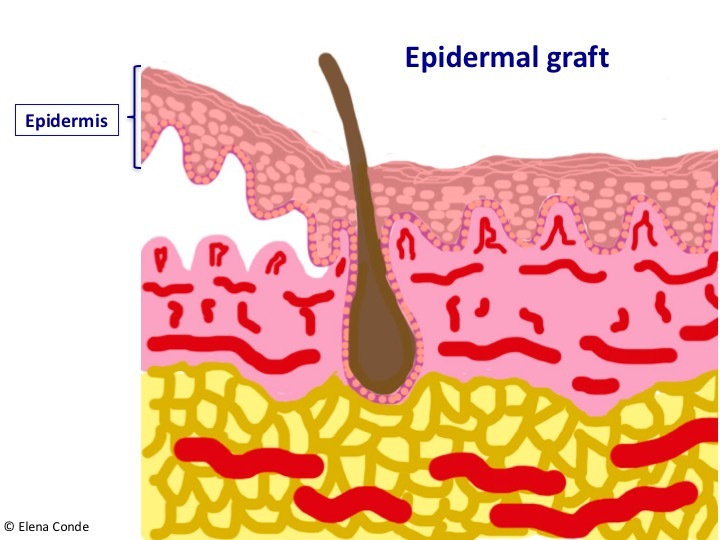 Hachach-Haram N, Bystrzonowski N, Kanapathy M, Smith O, Harding K, Mosahebi A, Richards T. A prospective, multicentre study on the use of epidermal grafts to optimise outpatient wound management. Int Wound J. 2017 Feb;14(1):241-249. Everts PA, Warbout M, de Veth D, Cirkel M, Spruijt NE, Buth J. Use of epidermal skin grafts in chronic wounds: a case series. Int Wound J. 2017 Dec;14(6):1213-1218. Lincoln K, Hyde J. Evaluation of Epidermal Skin Grafts for the Treatment of Complex Wounds in a Wound Care Center: A 94-Patient Case Series. Wounds. 2016 ct;28(10):347-353. 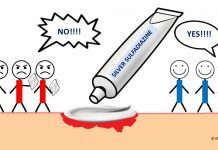 Kanapathy M, Smith OJ, Hachach-Haram N, Bystrzonowski N, Mosahebi A, Richards T. Systematic review and meta-analysis of the efficacy of epidermal grafting for wound healing. Int Wound J. 2017 Dec;14(6):921-928. Kanapathy M, Hachach-Haram N, Bystrzonowski N, Harding K, Mosahebi A, Richards T. Epidermal grafting versus split-thickness skin grafting for wound healing (EPIGRAAFT): study protocol for a randomised controlled trial. Trials. 2016 May 17;17(1):245.